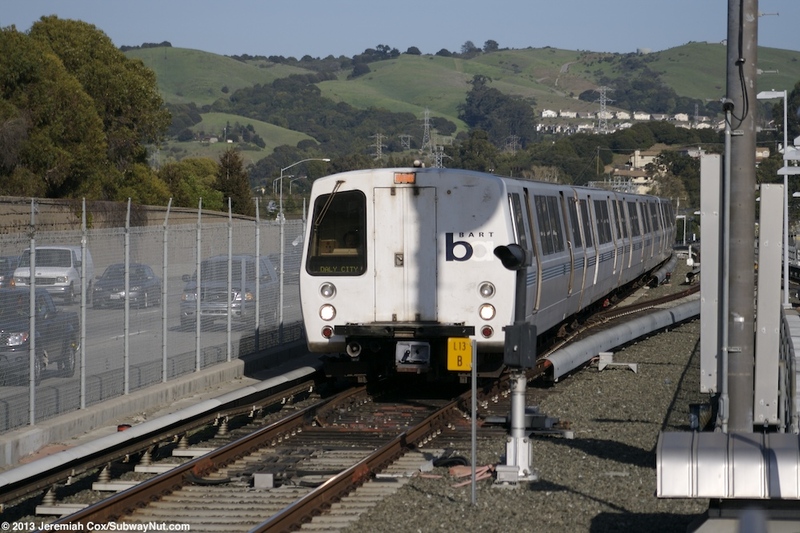 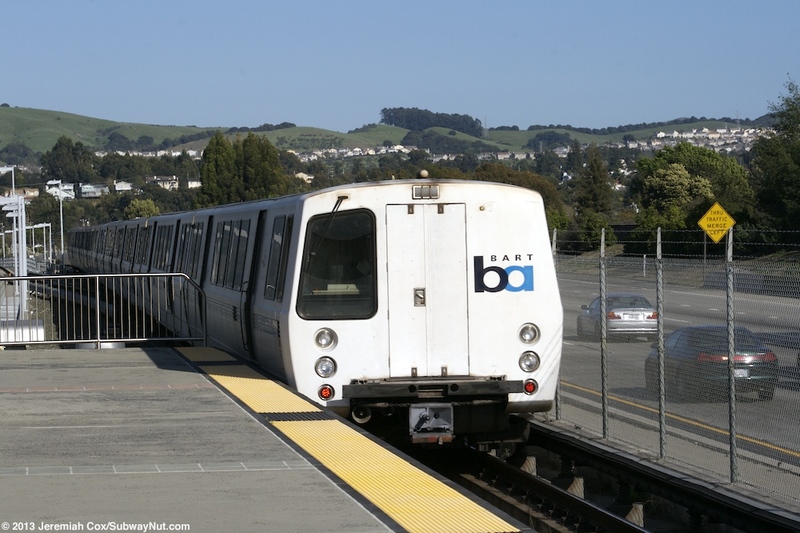 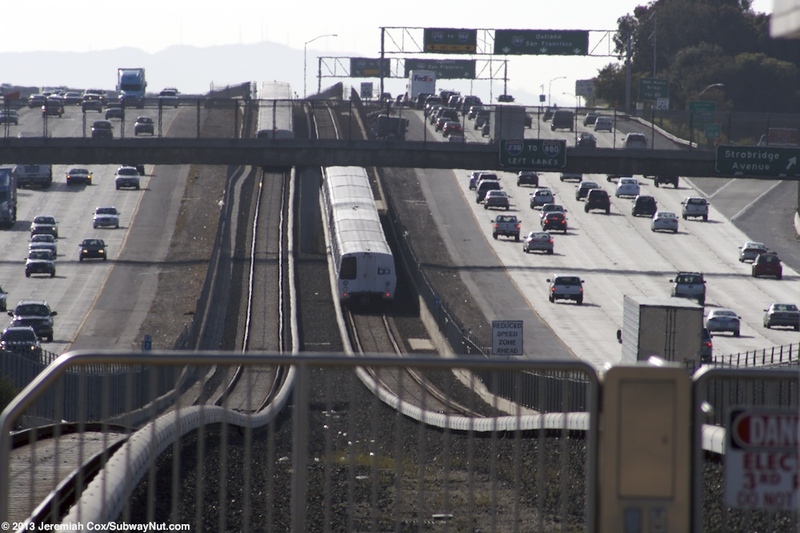 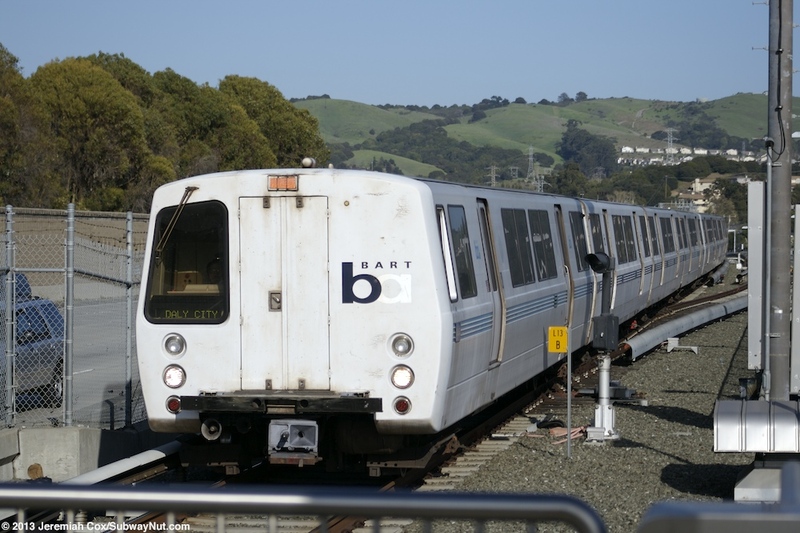 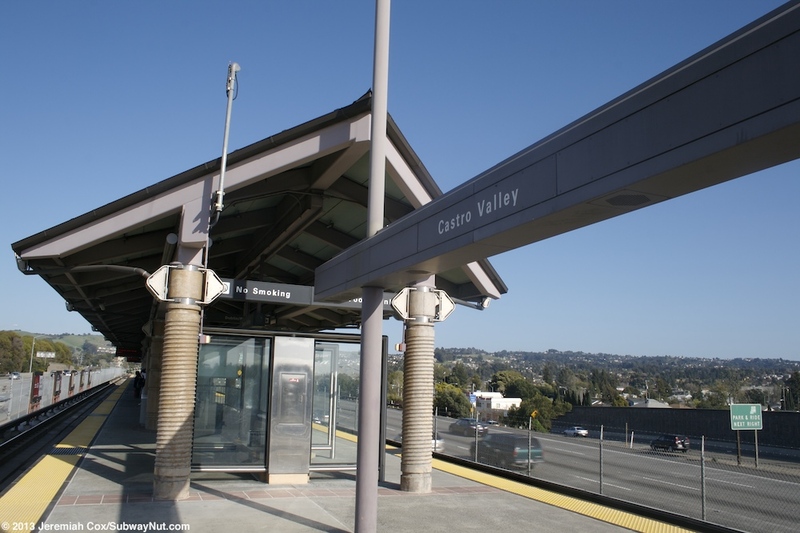 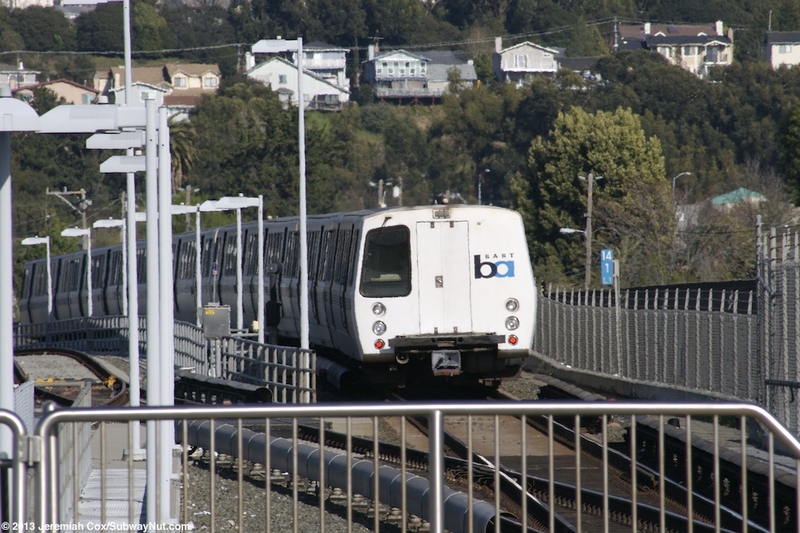 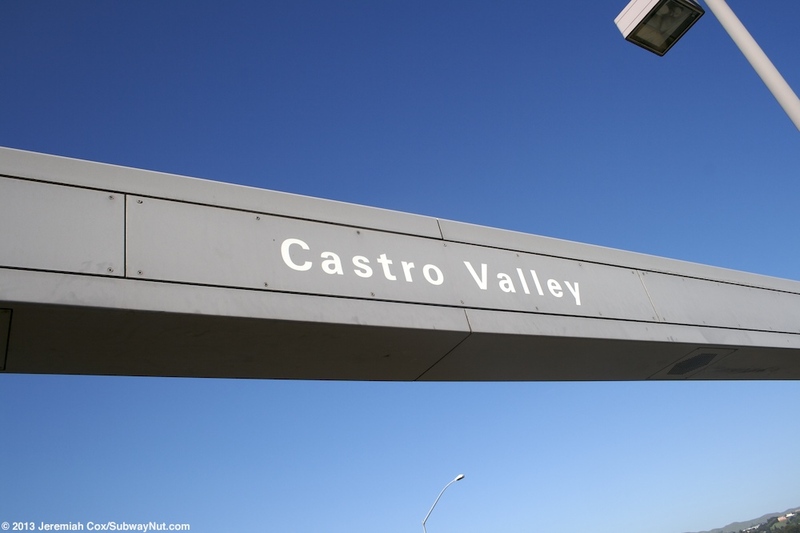 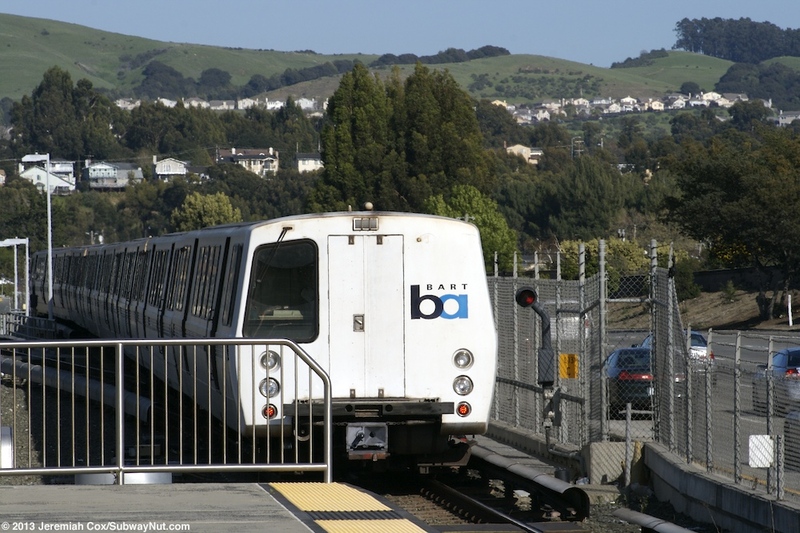 Castro Valley was originally the one intermediate station on the 14 mile long Dublin/Pleasanton extension that opened on May 10, 1997 in the median of the I-580 Freeway. 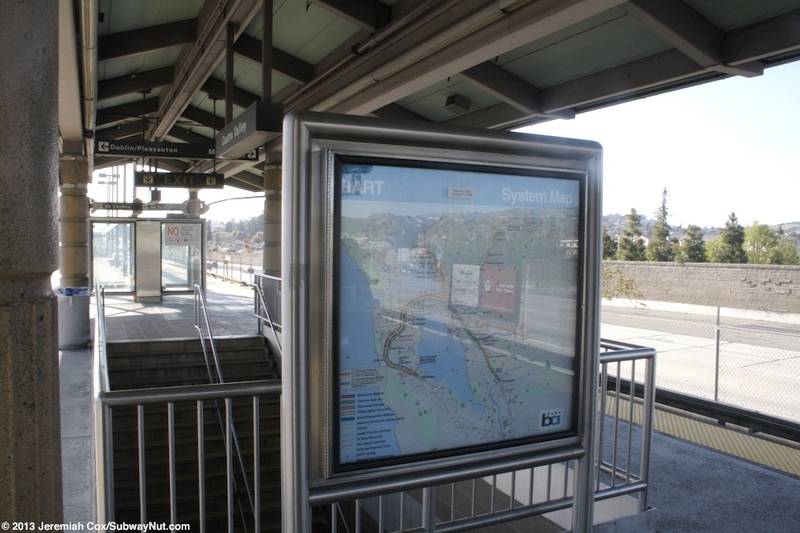 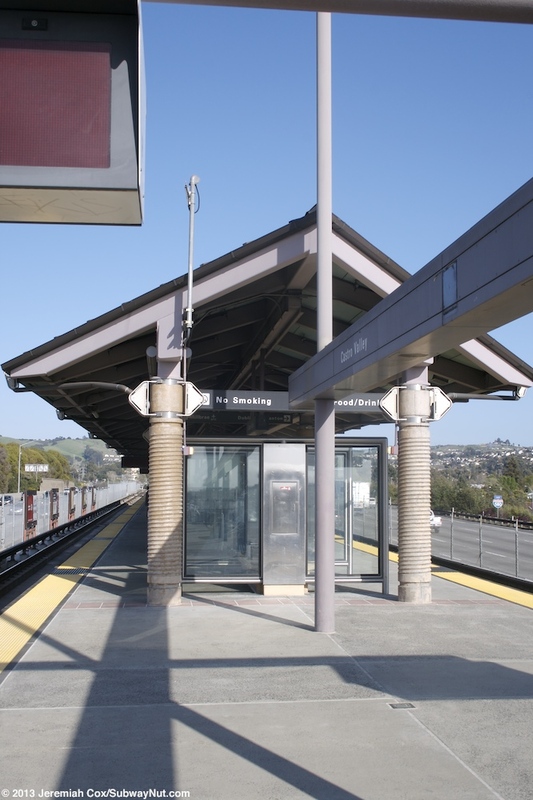 It was finally joined by a second intermediate stop by the West Dublin/Pleasanton infill station on February 19, 2011. 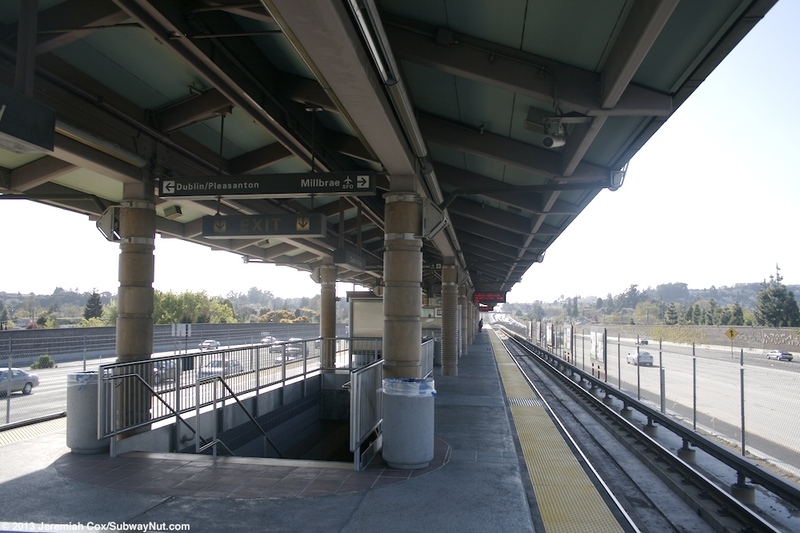 The station has a single island platform for the two track line with a canopy over the middle portion of the platform and the ends left exposed to the elements. 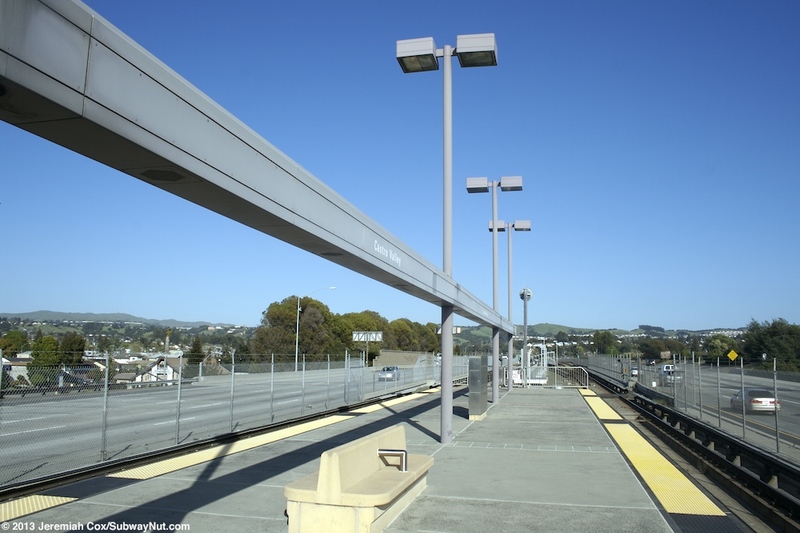 The canopied portion of the platform has pink colored round beams that hold up a roof who's underside is green. 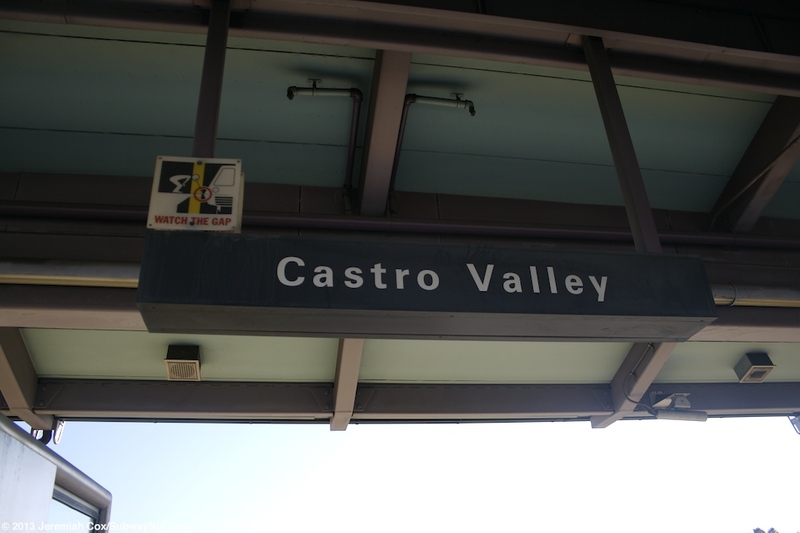 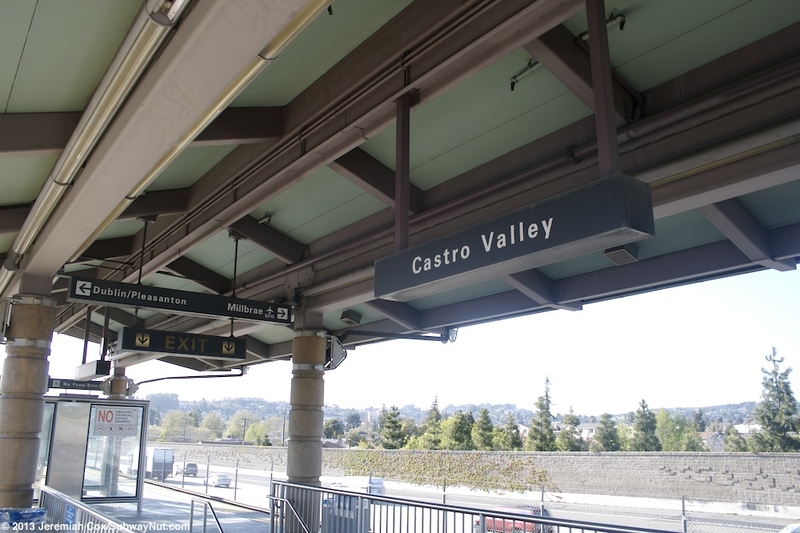 A pink beam extends along the exposed portion of the platform with Castro Valley written in it (non-standard format) at various intervals held up by the station's high lampposts. 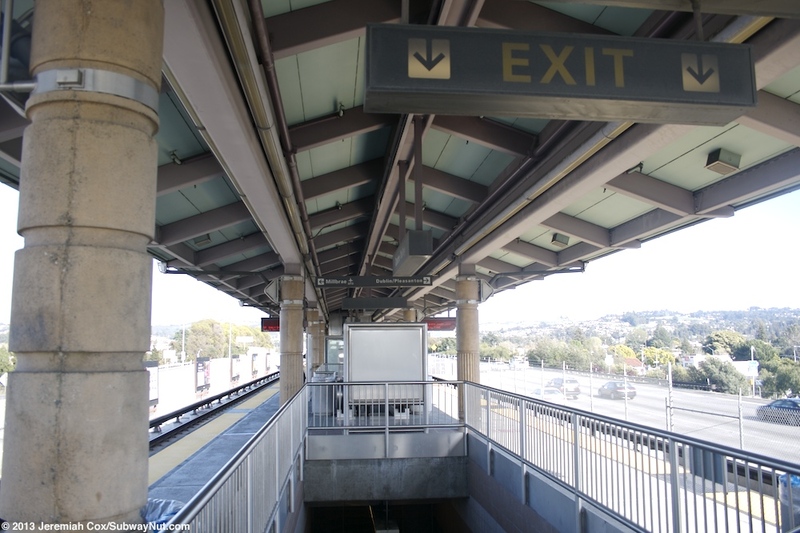 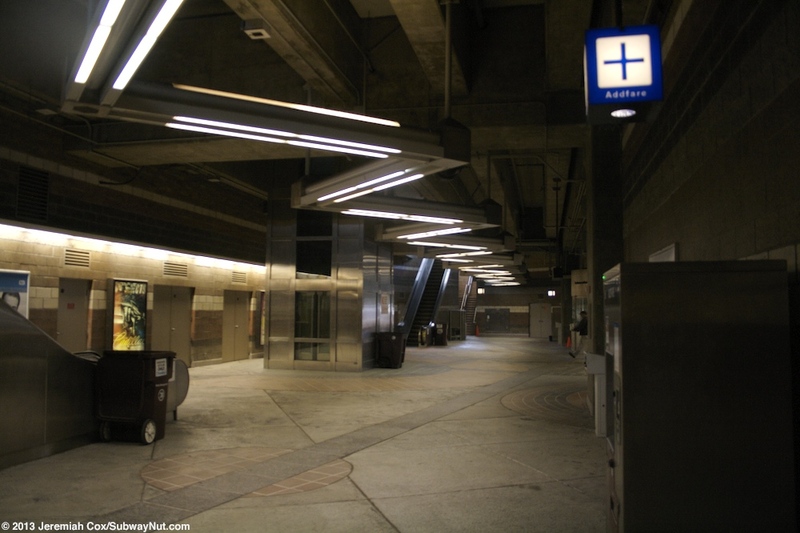 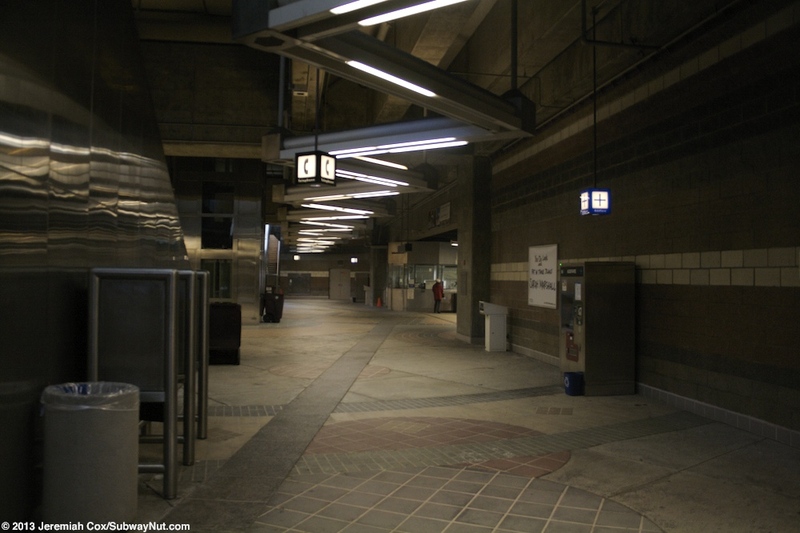 To leave the platform, two staircases, an escalator and an elevator lead down to a wide fare control area beneath the tracks and freeway. 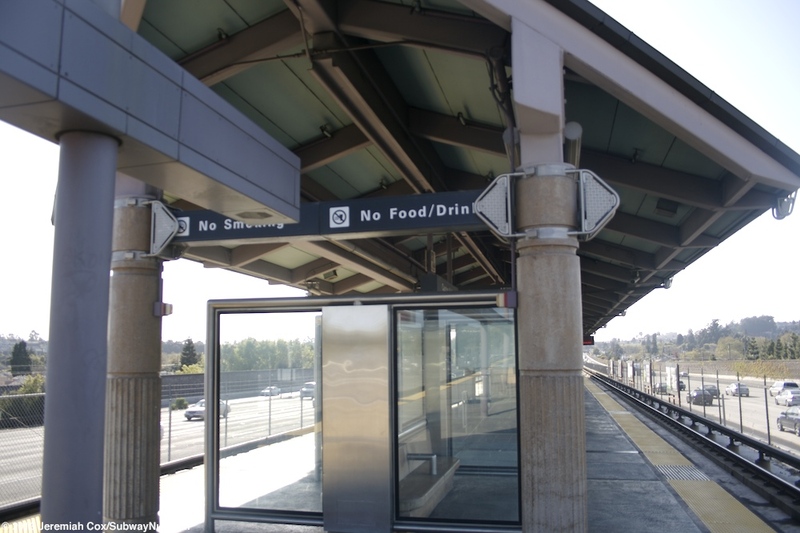 These lead to a bank of fare gates along the northside of the freeway and out to Norbridge Avenue that includes a long, single bus loop with a long canopy. 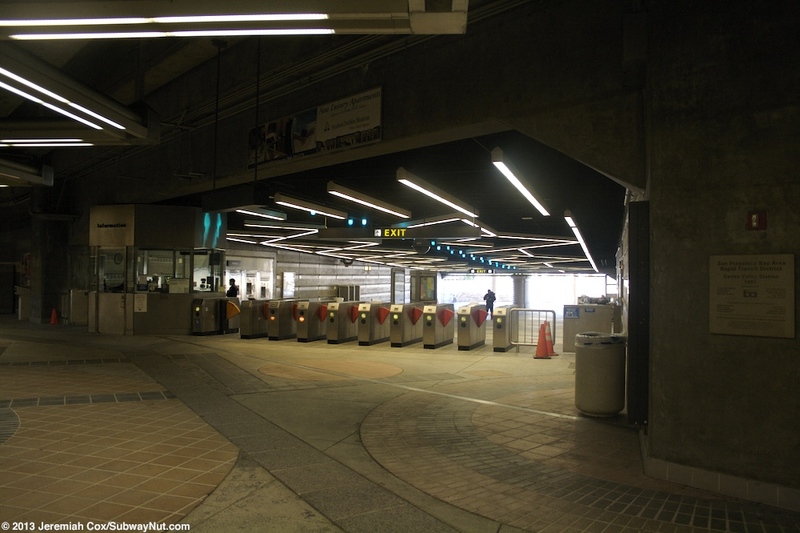 There are 1,123 parking spaces at the station, two are in lots surrounding the bus loop and three more require crossing Norbridge Avenue. 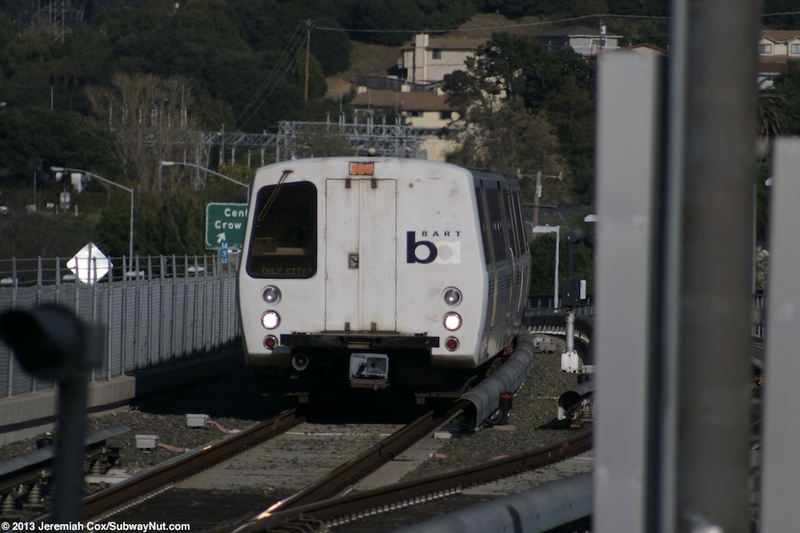 These are all between Wilbeam Avenue and Redwood Road.